It’s hard to believe that Sonic the Hedgehog has been around for 200 issues, and has spawned seven archive collections. 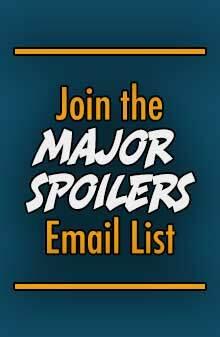 Archie Comics let Major Spoilers know the 8th collection is set to arrive in local comic shops July 30th, and in newsstands and book stores on August 12, 2008.
â€œSteel-Belted Sallyâ€ (issue #29): The unthinkable happens: Sally is robotcized! Also features the first appearance of Dulcy the Dragon! â€œGrowing Pains, Part IIâ€ (issue #29): Tails has fallen in love with Fiona the Fox, but his new sweetheart may not be what she seems! This story led directly into the popular â€œSonicâ€™s Buddy Tailsâ€ mini-series. â€œThe Return of Uncle Chuckâ€ (issue #30): Since the start of the series, Uncle Chuck has been a mindless robot in Robotnikâ€™s servitude. But when the villainâ€™s latest experiment goes awry, Uncle Chuck regains his free will and aids the Freedom Fighters in their fight against oppression! â€œWho Keeps Stealing My Chaos Emeralds? 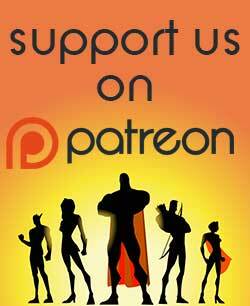 !â€ (issue #30): A Coconut solo story of slapstick proportions! â€œKnuckles Chaotix Sneak-Peakâ€ (issue #30): The two-page lead-in to the famous â€œKnuckles Chaotix Super Specialâ€ introduces Knucklesâ€™ team The Chaotix and foreshadows Robotnikâ€™s plans to capture them all. â€œA Robot Rides the Railsâ€ (issue #31): Robotnik delivers his new super-robot, the Dynamac 3000 to the western coast by rail, and itâ€™s up to the Freedom Fighters and Geoffrey St. Johnâ€™s Rebel Underground to derail the treacherous train trip! â€œLostâ€¦ and Found!â€ (issue #31): A follow-up to the â€œChaotix Super Special,â€ Knuckles must rescue the Chaotix and Arhimedes, leading to the much-loved Knukcles mini-series. â€œTundra Road Part 1â€ (issue #31): Rotor must return to his homeland where Robotnik has brainwashed everyone in sight! 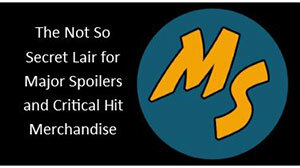 Can he stop Robotnikâ€™s â€œchillingâ€ plot to bring on a new ice age? â€œBlast from the Pastâ€ (issue #32): The Freedom Fighters find themselves up against a swatbot ambush, the robotic fangs of Muttski, and a Mobian Cavebear in this action-packed adventure! â€œPrisoners!â€ (issue #32): The Chaotix are trapped by Archimedes â€“ is he friend or foe?! â€œTundra Road, Part 2 (issue #32): Rotorâ€™s mission to rescue his family and countrymen takes a dangerous turn, and itâ€™s up to the Arctic Freedom Fighters to join the fight! 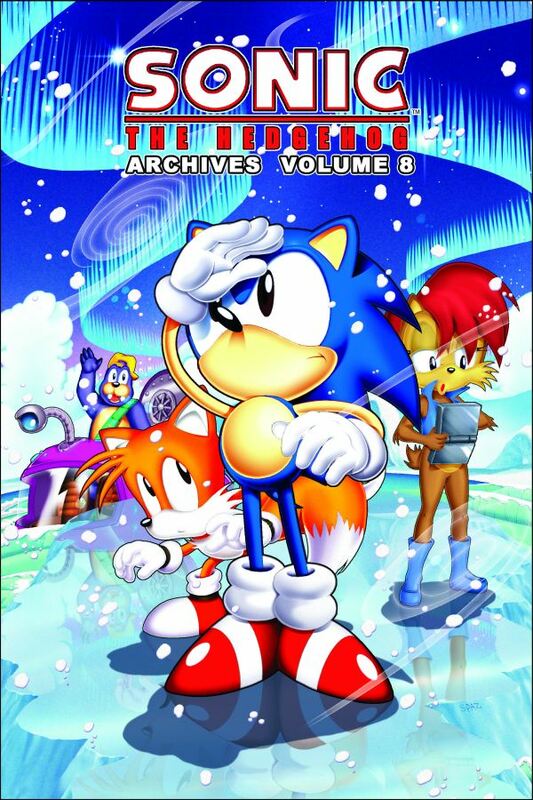 Sonic the Hedgehog Archives #8 will sell for $7.95.